There are many restaurants, cafés and retail shops around Seoul that serve or sell halal food. 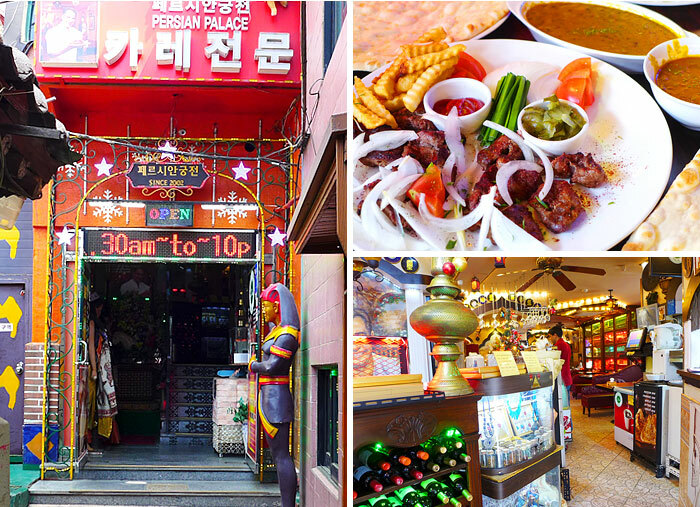 You'll find a large concentration of halal establishments in Itaewon, Seoul's best-known multicultural neighborhood. As halal food becomes increasingly popular with the number of Muslims visiting Korea on the rise, there is no doubt that more and more restaurants in Korea will offer halal options in the near future. However, distinction should be made between an establishment serving halal food and a halal-certified establishment. For Muslims, you may wish to inquire whether or not the establishment is certified by the Korea Muslim Federation before visiting. Conveniently located next to Seoul Subway Line 2 and the Shinbundang Line, BabaIndia serves up delicious Indian food using halal ingredients. The foyer of the restaurant greets customers with the wonderful aroma of Indian spices. The restaurant combines a pleasant dining experience with reasonable prices, quality food, and friendly staff. Order a set menu to try a variety of dishes and experience the best taste of India. Being located in the heart of Seoul, the restaurant attracts customers from all different walks of life, ranging from business people to groups of travelers. A delicious and budget-friendly lunch menu draws young couples and students to the restaurant as well. BabaIndia also allows customers to choose their level of spiciness, which helps first-timers who may find it daunting to order Indian or halal food. The homemade naan bread and chapati (unleavened flatbread originating in India), various house specials and desserts are sure to give those with homesickness a great treat. ☞ Directions: Gangnam Station (Seoul Subway Line 2, Sinbundang Line), Exit 5. Walk 40 meters straight from the exit (south). The restaurant will be on the right on the second floor. ☞ Directions: Itaewon Station (Seoul Subway Line 6), Exit 3. Walk 70 meters straight from the exit (east). 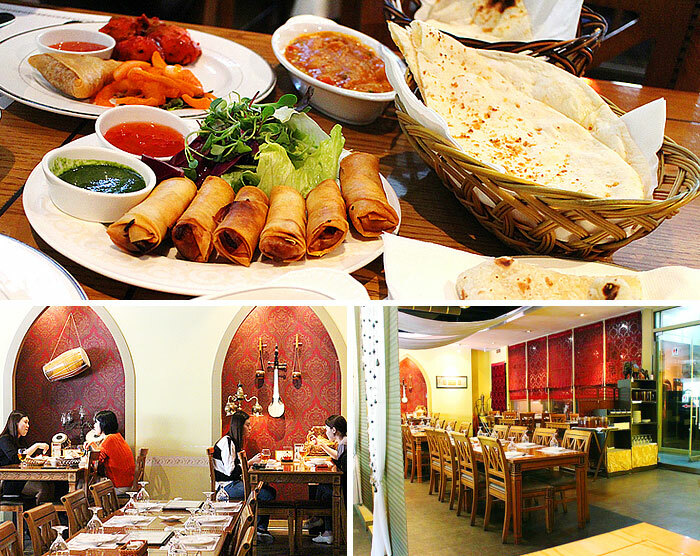 Persian Palace is located in the artsy neighborhood of Daehangno, near Sunkyunkwan University's main entrance. The restaurant has an elegant, distinct Middle Eastern dining ambience, and attracts a bustling mix of patrons. 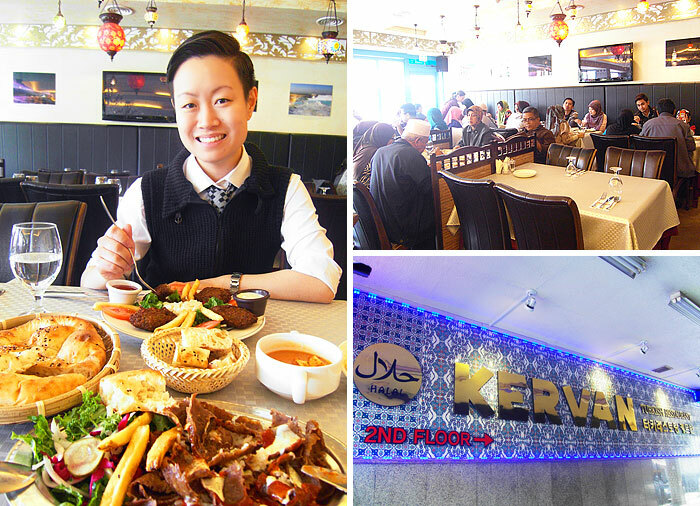 Since opening in 2002, the restaurant has focused on creating Persian dishes made from 24 spices, and meals have been developed to complement the Korean palate. Though kebabs are the specialty, the menu contains seven pages of halal dishes and four separate dishes for vegetarians. The curries are popular for having an authentic taste unique to Persian Palace. Also, the lamb kebabs are tender and carefully roasted, tasting heavenly with freshly baked naan bread. This restaurant is ideal for Muslim customers, vegetarians, and anyone interested in Persian cuisine. If you find yourself in the area for a theater performance or the well-known hiking trails, stop in at Persian Palace for some of its authentic ethnic cuisine, which will surely leave you wanting to come back again. ☞ Directions: Hyehwa Station (Seoul Subway Line 4), Exit 4. Walk about 225 meters straight from the exit (west) to the intersection. Cross the street northwest and walk about 230 meters to head the building across Sunkyunkwan University's entrance. Look for the orange sign leading into the walkway. * Menus may differ and are subject to change. * This column was last updated in July 2015, and therefore information may differ from what is presented here. We advise you to check details from the official websites before visiting.